Watch full One Piece Season 15 Episode 12 English Dubbed full HD online. One Piece Episode 528 English Dubbed online for free in HD. Excitement Blow-out! Sanji’s Life Under Threat! Nami has survived by landing on another part of Fishman Island. Using his Coup De Vent technique, Franky rescues Robin and regroups with Nami. Meanwhile, the five Medaka Mermaid Quintuplets inform the others that a royal ship is arriving. When the royal ship finally arrives with the three princes Fukaboshi, Manboshi and Ryuboshi, Sanji is forced to hide from them. However, Sanji suffers a nosebleed again, rendering him unconscious, and the three princes have the Ammo Knights attack Luffy and the others. Meanwhile, Zoro awakens in another part of the island and are suddenly confronted with another group of the Ammo Knights. When Chopper asks the others if the fishmen can donate blood to Sanji, Hammond and the others appear and refuse his offer. Using Gear Second, Luffy attacks the pirates and uses his Haki technique on the Sea King. 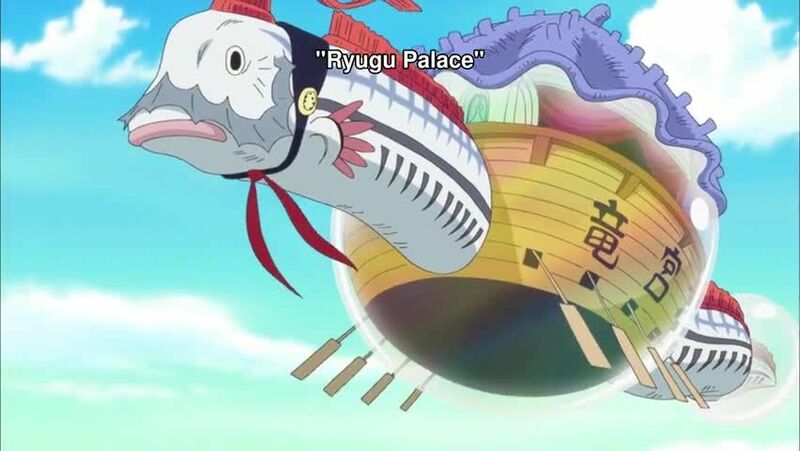 Luffy, Keimi and the others depart with the royal princes’ ship. Fukaboshi tells the mermaids that Luffy is a well-known pirate, as he can not go through immigration, and they were going to give Jimbei’s message before Luffy departed.